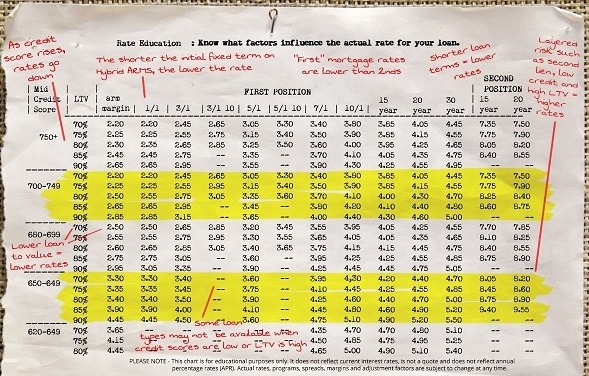 Know what factors influence the actual rate for your loan. Securing the lowest possible rate has less to do with scouring ads and more to do with the particulars of your transaction. Lenders typically pick the best scenario as the basis for advertisements. Unfortunately, best-case doesn’t apply to every loan. 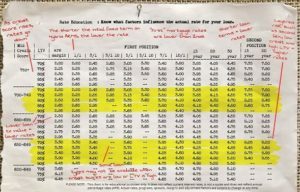 Loan Level Price Adjustments (LLPAs) – Offered rates are based on LLPAs or risk factors. A high loan to value ratio (LTV) or low credit score, for example, carries higher risk and, therefore, a higher price. Loan Type – An adjustable rate mortgage (ARM) can provide a lower starting rate vs. a fixed rate loan. Loan Terms – Shorter terms equal lower rates as equity builds more quickly, reducing the lender’s risk. Combined Factors – The combination of certain factors work together to impact final pricing. For instance, as credit scores improve, the rate differential for LTV changes are less pronounced. Securing a good interest rate requires balancing the different factors for your particular scenario. Fortunately, we excel at balancing acts. Let’s work together to discover the options for you.